Form worked fine for me. I see that you have changed to form.jotform.com, so it should work fine for everybody. Thanks for view.But yes, the problem is the same :( jotform.com also didn't work here. 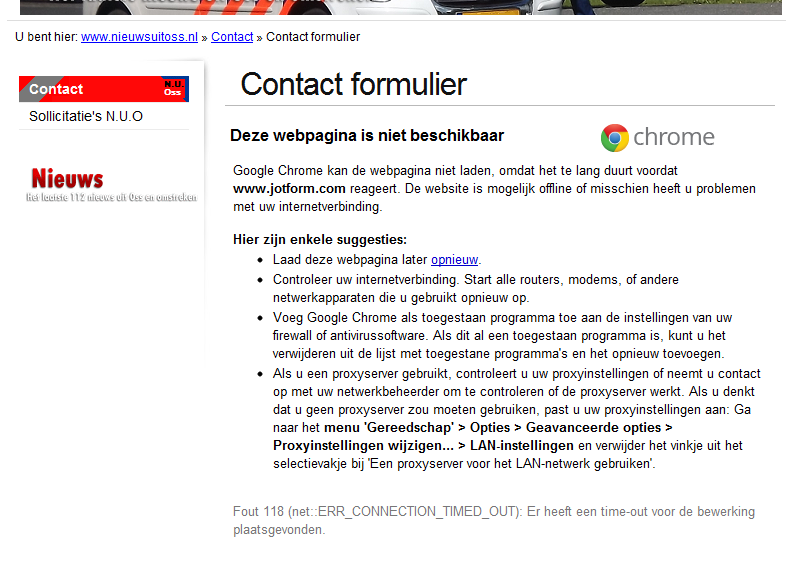 Only jotform.net works.Maybe if my html code is changed it will works? Now it is: Maybe if it is .net it will work? Friend/uncles and mutch more people have this probl.Thanks for looking at this! DNS might take some time to be cleared. Please allow another day. If everyone you have this problem, it might be cached on the ISP level. That will also clear soon. Just make sure all of your forms are linked from form.jotform.com.